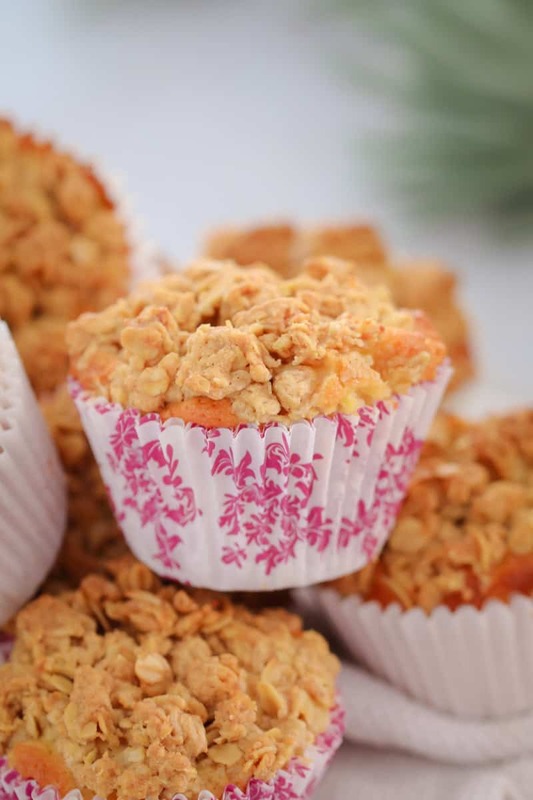 Super easy Apple Crumble Muffins… a soft apple muffin base topped with a crunchy oat crumble! These make the perfect lunch box treat (printable Conventional and Thermomix recipe cards included). 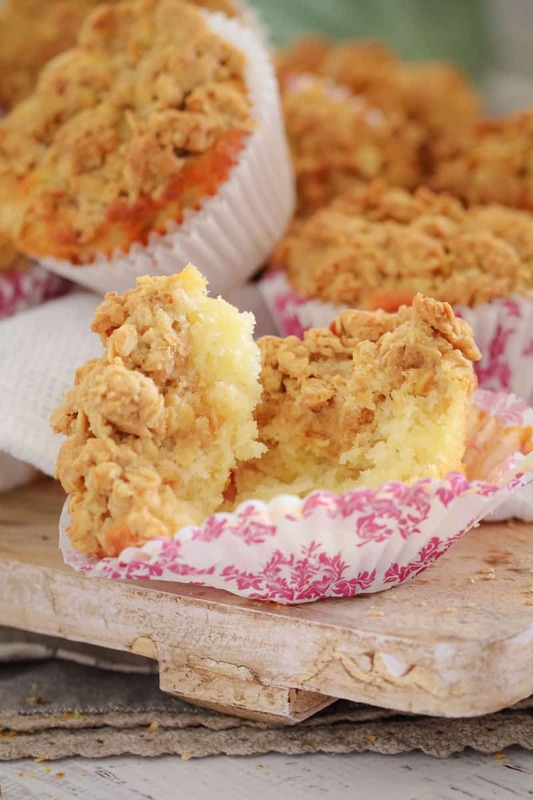 When it comes to yummy muffins… these Apple Crumble Muffins are the ultimate!!! 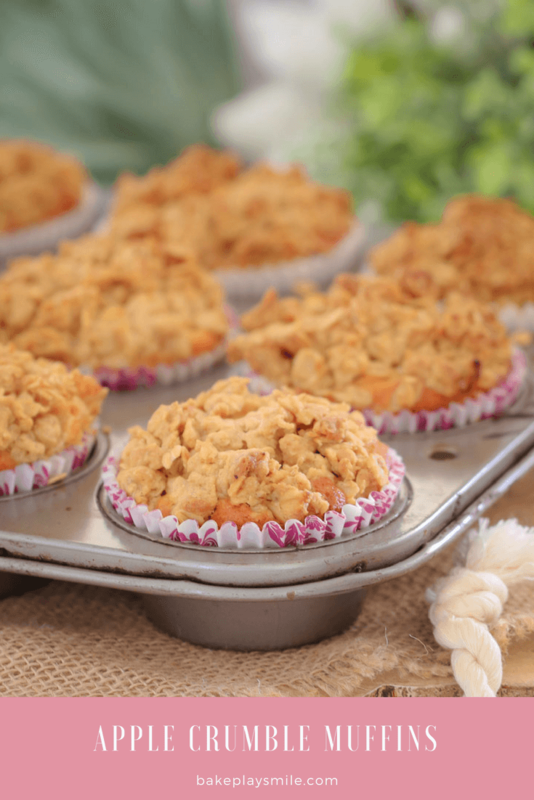 The grated apple in the mixture keeps the muffins beautifully moist, while the oat crumble gives the most perfect crunch. Unfortunately, I can’t take credit for this recipe myself – it’s one that I pinched off my Mum a few years ago (and have made every couple of months ever since!). 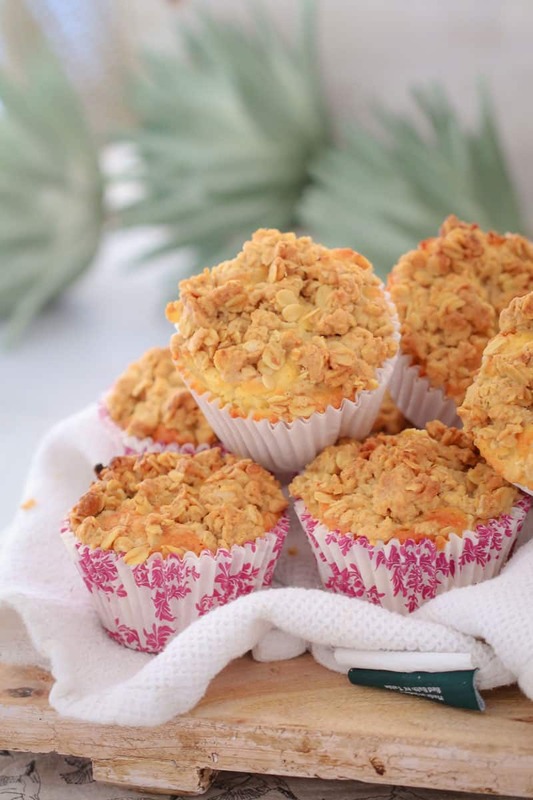 The best thing about these muffins (about from how darn delicious they are! 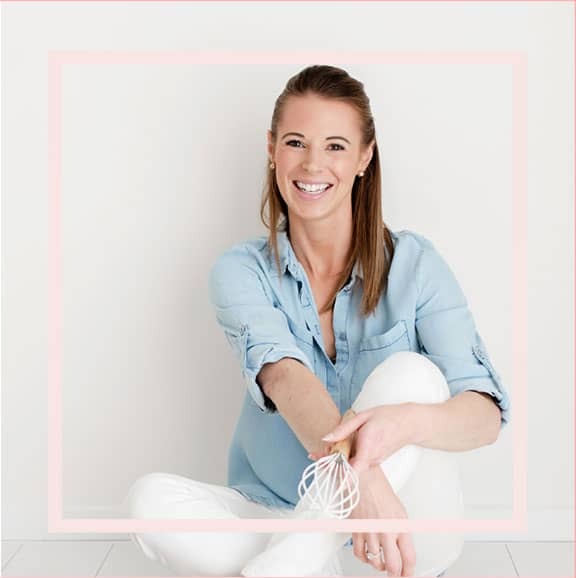 ), is that they’re freezer-friendly – which is perfect because you can whip up a batch, eat a few while they’re fresh from the oven and then freeze the rest for quick and easy snacks. Unless you’ve got a big family or are feeding a crowd, I’d highly recommend freezing your leftover muffins. 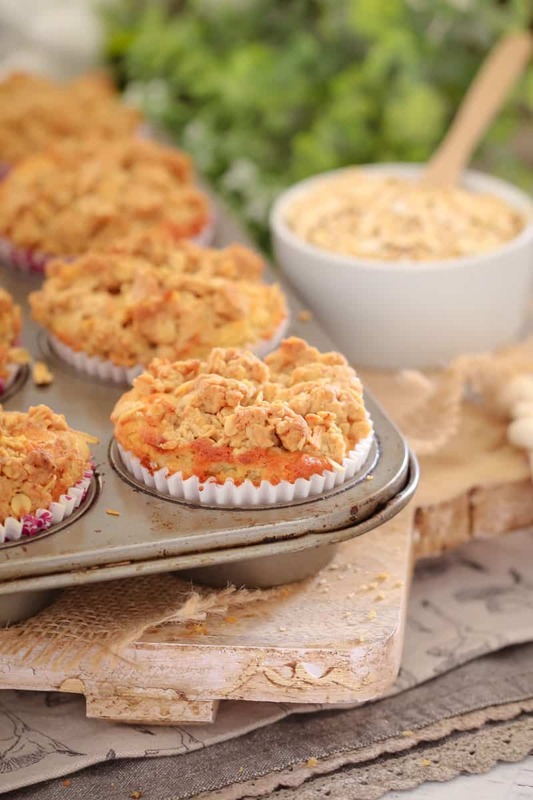 Muffins are one of those things that are always best eaten on the first day or two – so if you don’t think you’ll get through all 12 straight away, pop them into the freezer (that way they’ll be just as fresh as when they came out of the oven!). 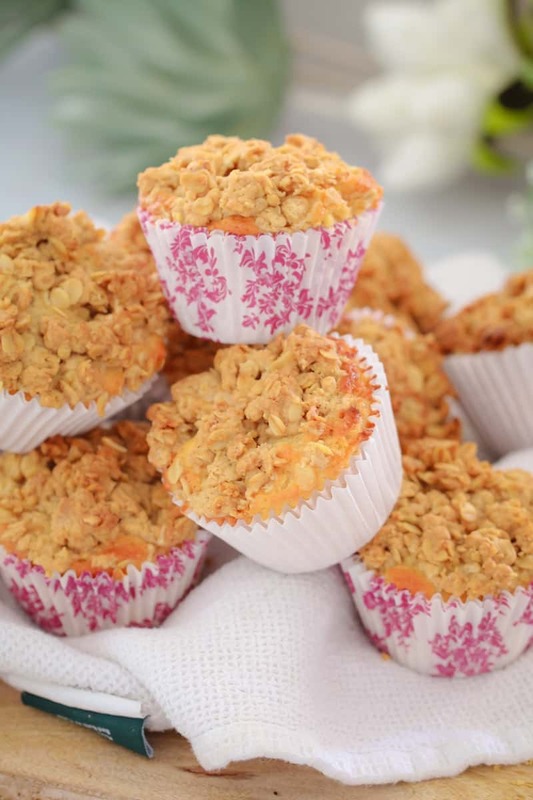 Or check out my entire collection of muffin recipes here (sorry, there’s too many to list!!!). 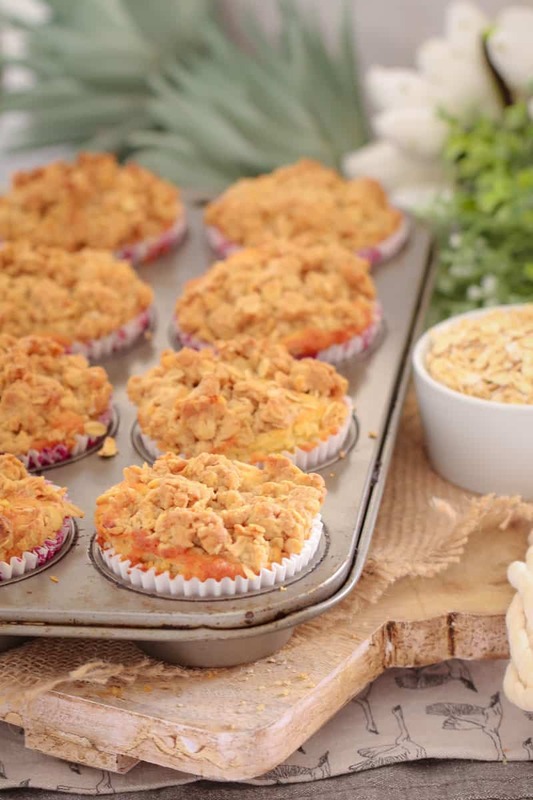 Ooh and to see how simple it is to make these muffins, check out the video below! 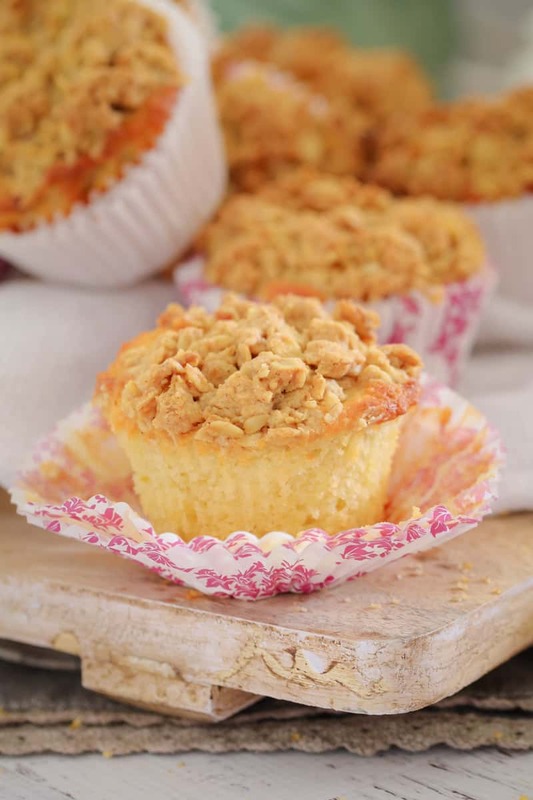 Super easy Apple Crumble Muffins... a soft apple muffin base topped with a crunchy oat crumble! These make the perfect lunch box treat (printable Conventional and Thermomix recipe cards included). Preheat oven to 190 degrees celsius (fan-forced). Line a 12-hole muffin tray with muffin cases and set aside. Place all of the muffin ingredients (not the crumble ingredients) into a bowl and mix together until just combined. Divide the mixture between the prepared muffin holes (filling to 2/3 full). To make the topping, mix the crumble ingredients together until combined. Sprinkle the crumble mixture over the top of the muffins. Bake for 20 minutes or until golden on top and cooked through. Leave in the muffin tin for 5 minutes before transferring to a wire rack to cool completely. Place the chopped apples into the Thermomix bowl. Grate on Speed 8, 10 seconds. Scrape down the sides of the bowl. Add the remaining muffin ingredients (not the crumble ingredients) into the Thermomix bowl and mix on Speed 5, 5 seconds. Scrape down the sides of the bowl and repeat for a further 5 seconds. 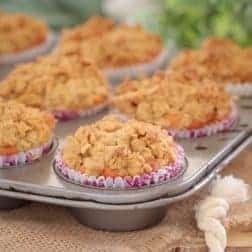 To make the topping, place the crumble ingredients into a clean Thermomix bowl and press Turbo a few times until you have achieved a consistent crumble mixture (and all of the dry ingredients have been completely combined with the butter. 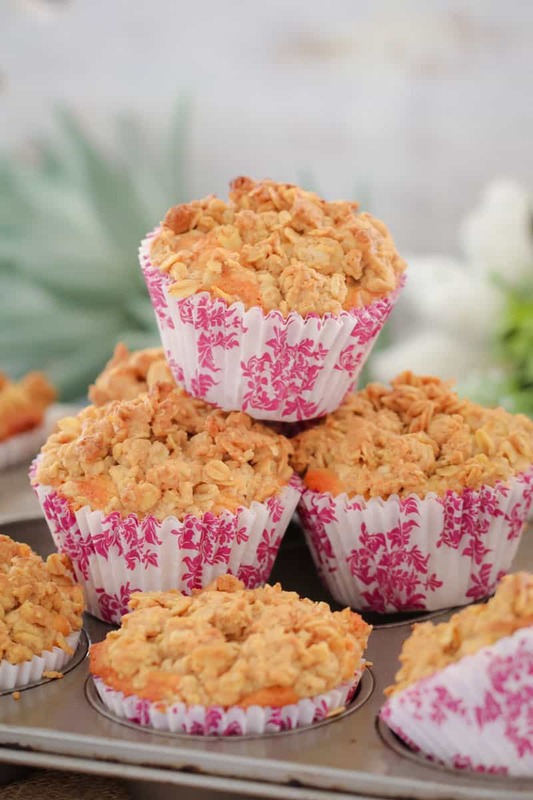 These are really lovely moist muffins – especially for anyone who loves the taste of apple, cinnamon, and crumble – I can recommend them. Eating lots of Portuguese tarts here – delicious! Hi Mum, Thanks for checking in!!! Oooh I love portugese tarts – we’ll have to make them when you get home. There’s a great Jamie Oliver recipe for them! Hi! I’m not much of a cook (I wish I was!) so need advice please. I never have vegetable oil in my pantry I have olive, peanut and macadamia. Would any of those be okay? I actually used coconut oil for the crumbs, it turned out great! 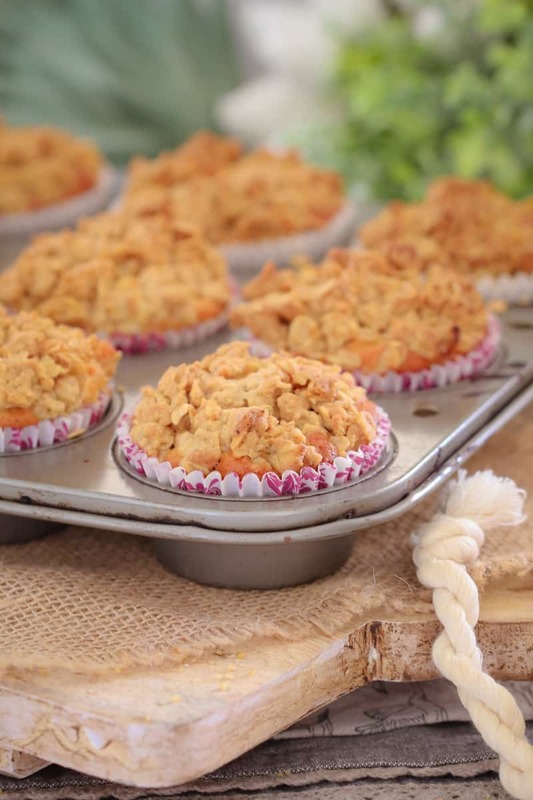 So yummy these muffins! Hubby and kids all love it! Thanks for sharing! A silly question: should I leave them in the fridge or normal temperature if there is some left over and I want to eat it next day. Thanks!